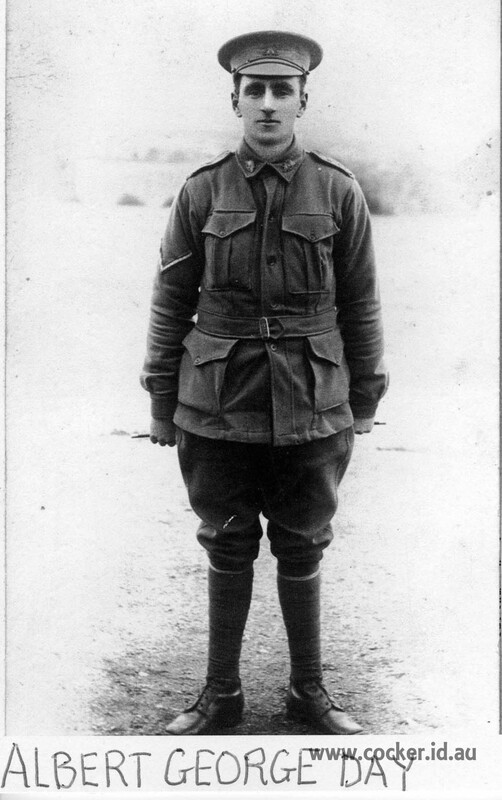 Albert George Day† was born on 14 Mar 1893 in Sheffield, Tasmania, died on 14 Aug 1915 in the Government Hospital, Suez, Egypt at age 22, and was buried in Suez Christian Military Cemetery, Egypt. Albert died en route to World War 1. Place of burial: Suez War Memorial Cemetery (Row C, Grave No. 63), Egypt.